Since it was my birthday today, I needed to get myself a nice treat. After some hard ponderings, and the fact that I shredded my Note Edge 5 by dropping it while biking, I decided the new Google Pixel would do just fine, and I was more than right about that. Firstly, its built to last towards the future, with the new USB C setup. And that is just the first step of this new flagship. The Nougat Android comes with new additions like the longpress option menu and a more goal orientated flow to build upon. Google really shows they are maturing the UI of material design towards a new level, keeping an eye out towards competitors. Then there is the camera, taking pictures is great, but shooting stable video is always a challenge. The gyroscope integration balances this out a lot, and even though I havent been able to play with it alot, I am truly satisfied with the quality of the camera. The price is a bit steep, and this is not just a phone for everybody, but to me it feels like the hardware is well balanced around the software demands of the devices capabilities. It feels good to the hand, and preforms faster than a ninja, and it feels unstoppable at doing so. Setting up the device was easier than ever, and paying with it for some hours, I am confident that this was the right choice to make. 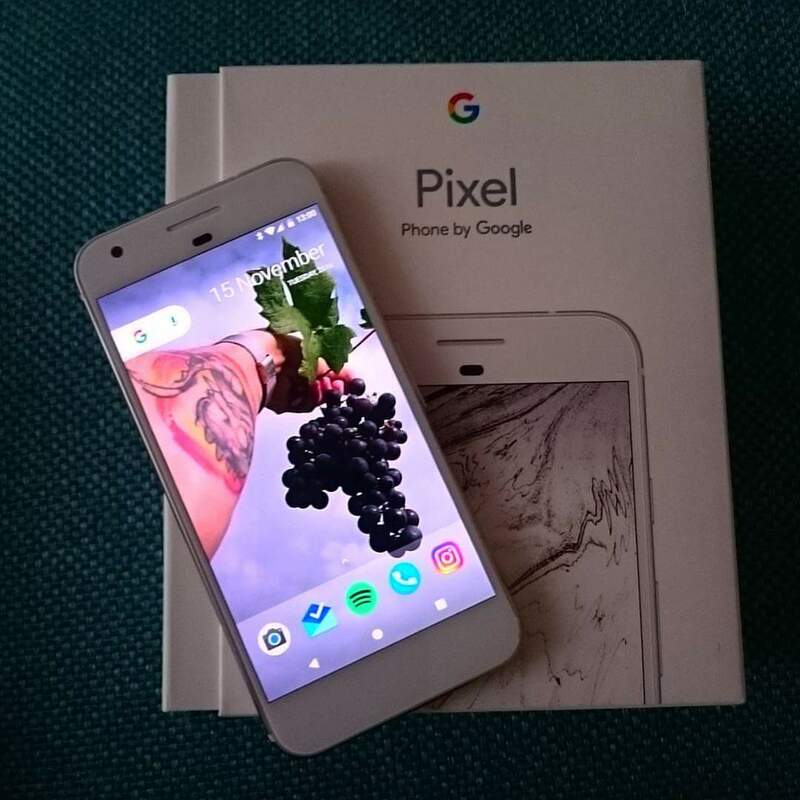 The pixel will put a big smile on my face facing the future.